Daniel Chester French, “Daniel Chester French,” Histories of the National Mall, accessed April 23, 2019, http://mallhistory.org/items/show/501. French was a sculptor whose best-known work in Washington, DC, is the statue of President Abraham Lincoln inside the Lincoln Memorial. He also sculpted the statue of Victory which tops the First Division Monument in President’s Park. From 1910-1915, French served as one of the first members of the US Commission for Fine Arts, which reviews new construction in Washington for design and aesthetics. This commission carried on the work of the Senate Park Commission who designed the Mall. One of French’s good friends and mentor, Augustus Saint-Gaudens, was a member of that Commission. 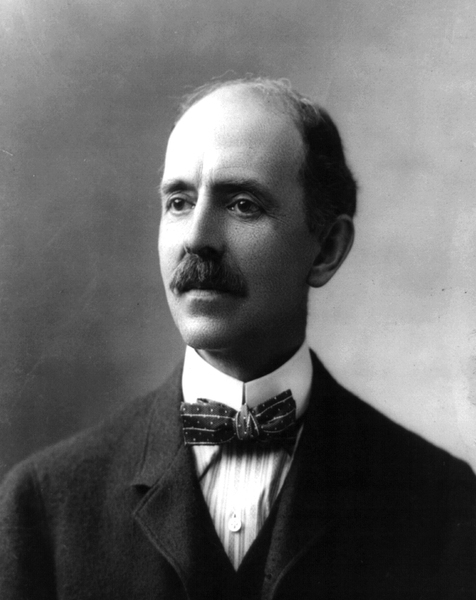 Daniel Chester French was born in Essex, New Hampshire. French’s father, Henry Flagg French, was a lawyer, judge, and federal official. In 1867, when French was 17, the family moved to Concord, Massachusetts, where they were neighbors with influential artists and authors, such as Ralph Waldo Emerson and Louisa May Alcott. Although he had little formal training as a young man, French was able to study with a number of accomplished artists, both in the United States and in Europe. French’s first major commission was a statue for the city of Concord to commemorate the 100th anniversary of the Battle of Lexington and Concord. The statue, titled 'Minute Man,' was well received, and became so famous that it was featured on war bonds during World War I. After living for two years in Italy, French moved to Washington, DC in 1876 and set up a studio near the Capitol. In 1890, he returned to Europe again to study with Augustus Saint-Gaudens in Paris. On his return, he and his wife, Mary Adams French, moved to New York City, where he lived for the rest of his life. In 1914, French was selected by the Lincoln Memorial Committee to create the sculpture of Lincoln for a memorial on the National Mall. French resigned as chairman of the Fine Arts Commission, which would be involved in reviewing any design choices for the monument, in order to accept the commission. Mary and Daniel French purchased a summer house in Stockbridge, Massachusetts in 1896. Daniel died there in 1931 at the age of 81.